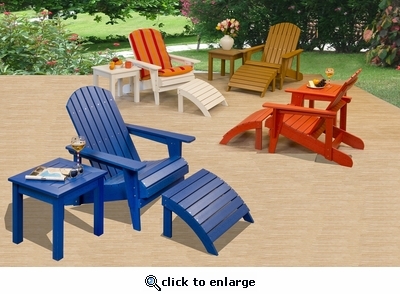 Our Poly-Wood Adirondacks are made for the way you live outdoors. Solid and substantial, requiring absolutely no upkeep. Available in White, Red, Brown and Blue finish.